Benefit Cosmetics, Vogue International, Organix, Liz Earle, NYX, Tarte Cosmetics and Priv activated at the capital's first BeautyCon event at Olympia London on Saturday (23 May). Benefit Cosmetics’ beauty bar trailer was complete with staff that provided make-up retouching services and product samples. Meanwhile the Vogue stand delivered an Organix hair activation as well as samples. Visitors could have their make-up attended to at Tarte Cosmetics, while the NYX stand featured a private talent lounge and pop-up shop complete with cosmetics for purchase and sampling. The Liz Earle brand encouraged attendees to 'Tweet for a Treat' at its Isle of Wight botanical beach-themed stand, where visitors could enjoy manicures and hand and arm massages. Priv provided hair, make-up and nail touch-ups throughout the day, and appointments could be booked onsite via the brand’s app. The event was attended by YouTube personalities, bloggers and beauty experts including Tyler Oakley and Amanda Steele of the US, as well as the UK’s Fleur de Force, Lily Pebbles and Lily Melrose. 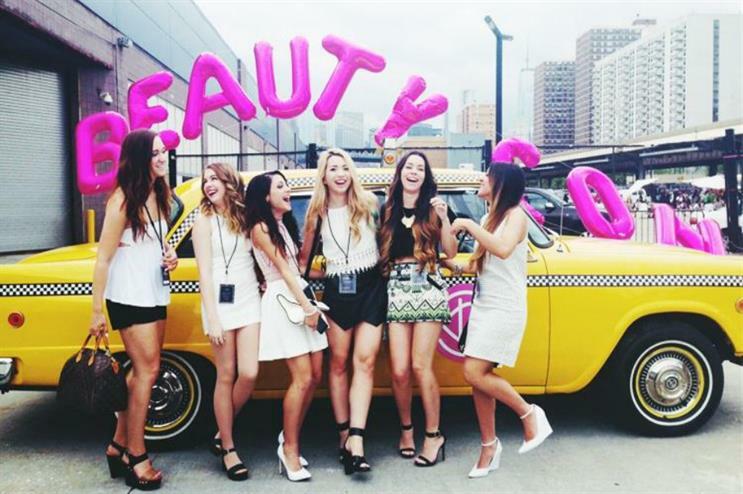 BeautyCon launched in Los Angeles in 2012, and it has since expanded to include events in New York, Dallas and now London after more than 17,000 people voted to have the event visit the capital. Anna Golden, commercial director at Olympia London, said: "LiveNation selected our most contemporary event space, Olympia West, which is ideally suited to the young event and also presents the opportunity for growth, with bigger spaces available in future." Moj Mahdara, chief executive officer at BeautyCon, added: "Without the demand from our growing fan-base, we wouldn’t be bringing BeautyCon to the UK and we are really excited to expand our community across the water for the first time. BeautyCon is the place to be for young, tech-savvy influencers who want to create unique, sharable content for their fans featuring their favourite brands. "BeautyCon fans are a powerful new force in popular culture, skilled in making digital content an integral part of their day-to-day lives. Our panel of experts have a wealth of knowledge to share across a manner of beauty, fashion and blogging topics and have the ability to move markets by driving audience awareness, keeping their fans one step ahead of the beauty and fashion calendar."